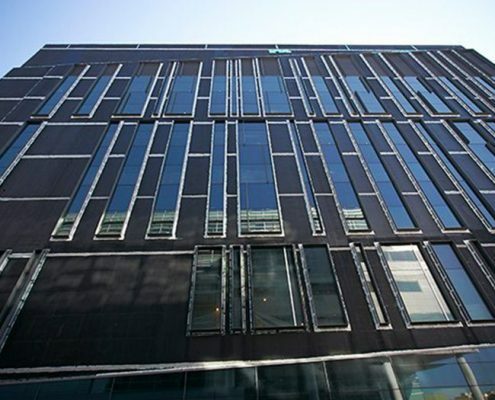 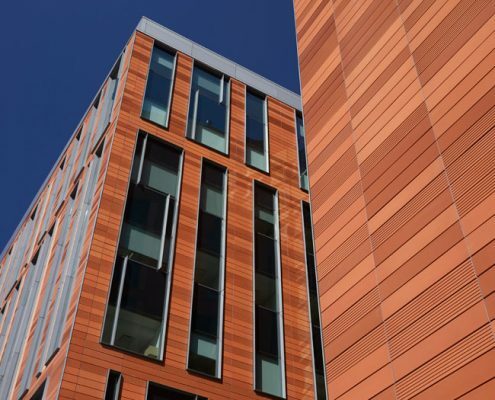 The 628,000-sq-ft eight-story Jacobs School of Medicine and Biomedical Sciences has been awarded the Engineering News-Record's New York Best Projects Higher Education/Research Award of Merit for 2018. 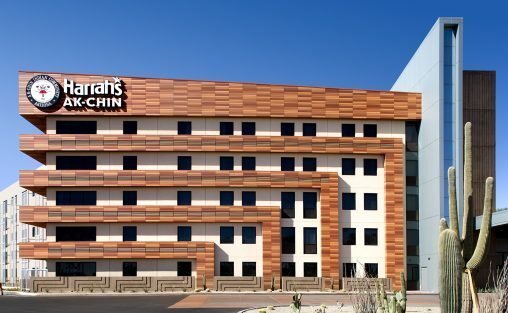 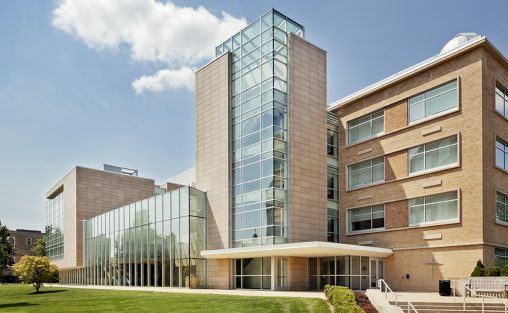 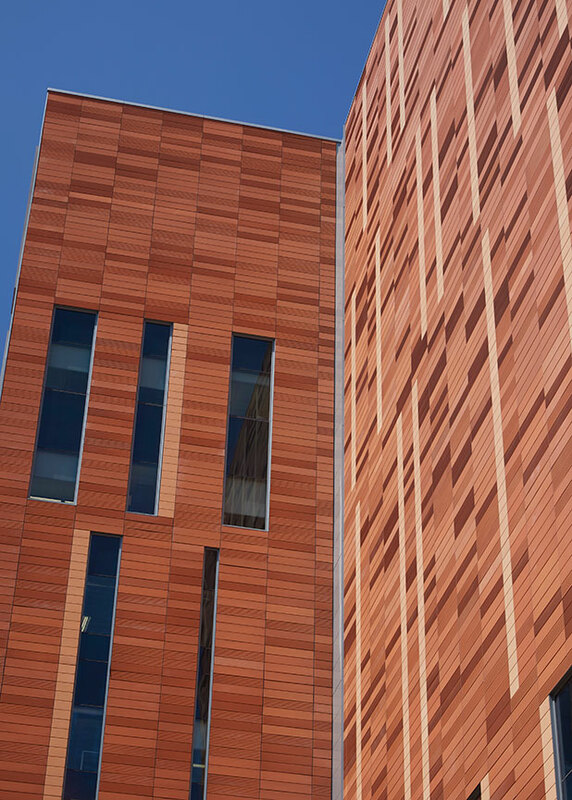 The new medical school was designed and built from the ground up to meet LEED Gold requirements. 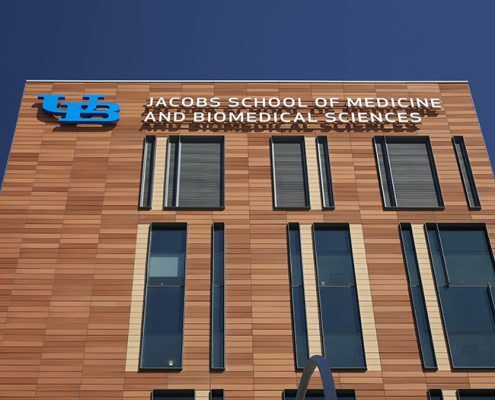 The new home of the Jacobs School of Medicine and Biomedical Sciences at the University at Buffalo has won an Excelsior Award for public architecture in the category of New Construction from the American Institute of Architects New York State. 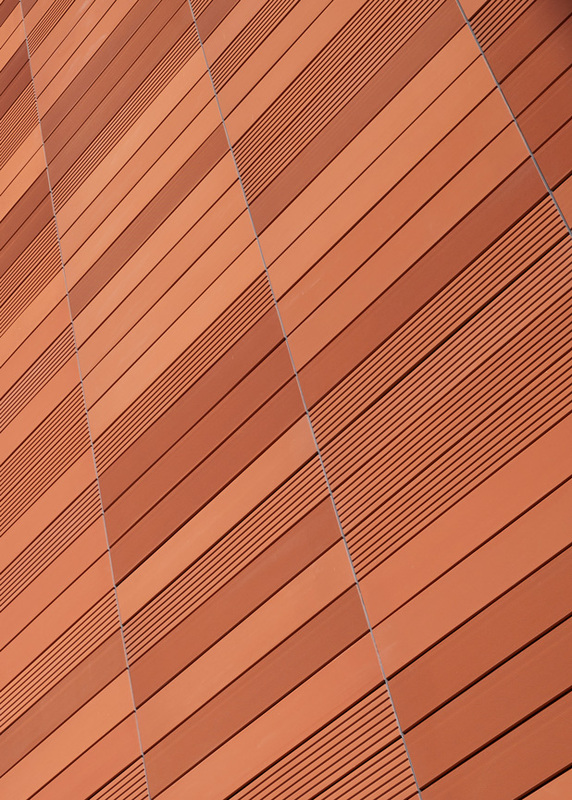 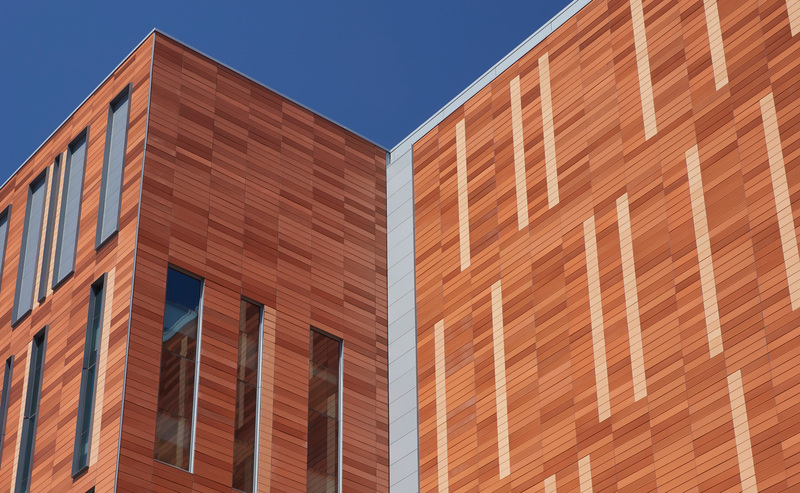 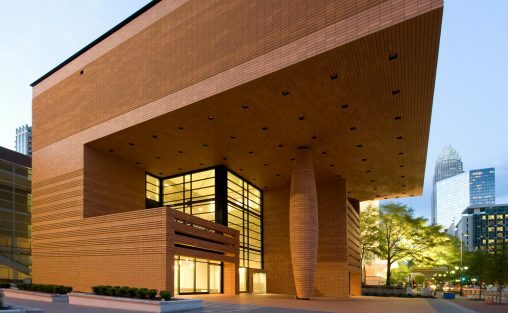 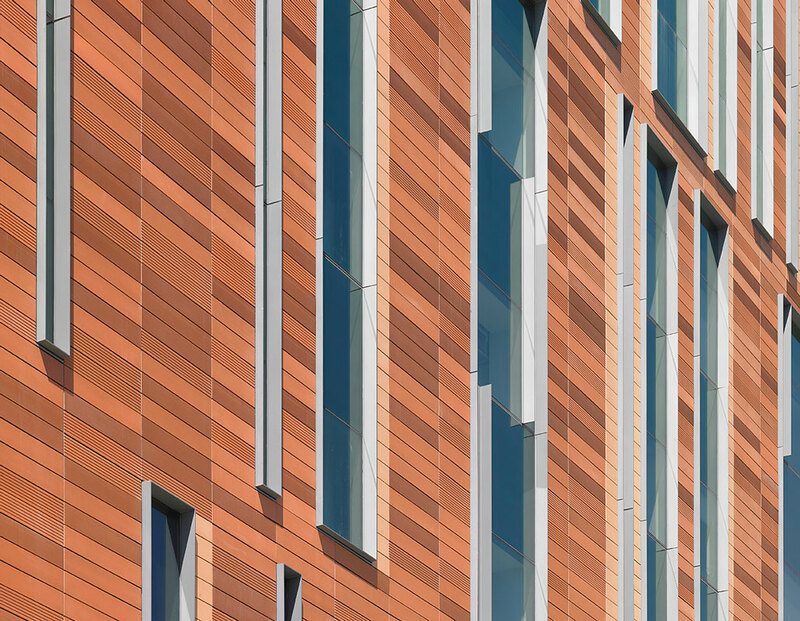 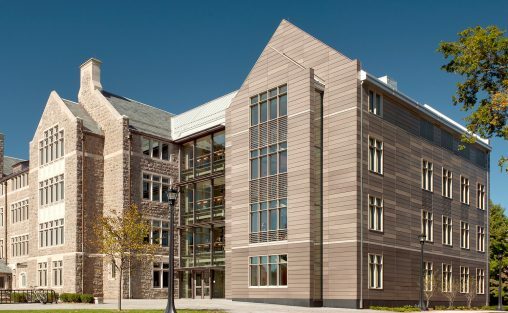 “HOK contacted us during the conceptual design stage,” explained International Sales Manager at Boston Valley Terra Cotta, which won the bid to manufacture the panels over two German firms.